Highly flexible cost-saving solution for public infrastructures. 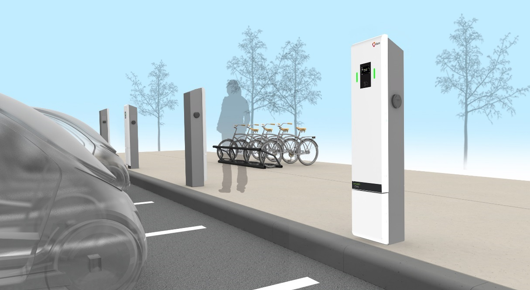 A cost-saving charging solution due to its master – slave architecture that allows multiple chargers in a single location. 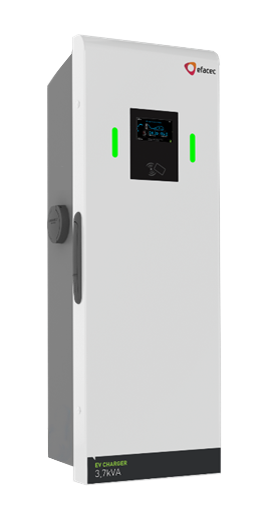 The Public Charger is a flexible and open charging station, able to charge in a standalone mode or integrated in any network with any central system. AC output from 3,7 kVA to 22 kVA. The Public Charger is extremely robust and rugged due to its aluminium enclosure, making it ideal for a wide range of installations, both indoors and outdoors. It’s also possible to personalize it with custom graphics, logos and colors to have the overall look of your brand. Whenever you need to park and charge your EV. A robust solution for all mode-3 electric vehicles.